J.W. & D.E. Ryan, Inc. would like to extend a heartfelt thank you to the community for their continued support over the past 127 years. Our dedicated staff strives to provide our customers with top quality services. The nature of the business has changed over the years and continues to transform as new technology emerges. J.W. & D.E. Ryan has operated continuously from the same location since 1885 when it opened under the name R. Hudson. The business has remained in the same family since it opened. Founded by Robert Hudson, the business originally dealt with stoves and tin ware. The business operated under the name R. Hudson until 1909, when Robert Hudson's nephews, John W. Ryan and David E. Ryan, formed a partnership and took over the business, changing the name to J.W. & D.E. Ryan. The business soon transitioned into a full service plumbing and heating contractor. In 1946 John W. Ryan's son, Ralph W. Ryan and David E. Ryan's son, Robert J. Ryan joined the partnership. Timothy C. Ryan, son of Robert J. Ryan, joined the business in 1974, purchased the business in 1979 and manages it to this day. There are employees working at J.W. & D.E. Ryan, Inc. today that started during the first few years that Timothy became owner. Robert Fisher, Project Manager, has been working at J.W. & D.E. Ryan, Inc. since 1974. 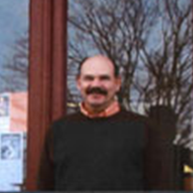 Dennis Senesac, Operations Manager, joined the business in 1979. John Emerson, Service Manager, has been with the company since 1981. The average installer working at J.W. & D.E. Ryan has over 14 years experience. The company has a strong focus on continuing education and training and through this, has expanded their expertise to include solar and geothermal applications.